There have been allegations of voter fraud in every major presidential election, but there typically isn’t much proof. But now, suddenly, there is. Project Veritas has just released a video introducing the world to Alan Schulkin, the Democratic Election Commissioner for Manhattan. In it, he talks about how Mayor de Blasio gave out ID cards to anyone who asked for them, without vetting the person to make sure they were who they claimed to be. 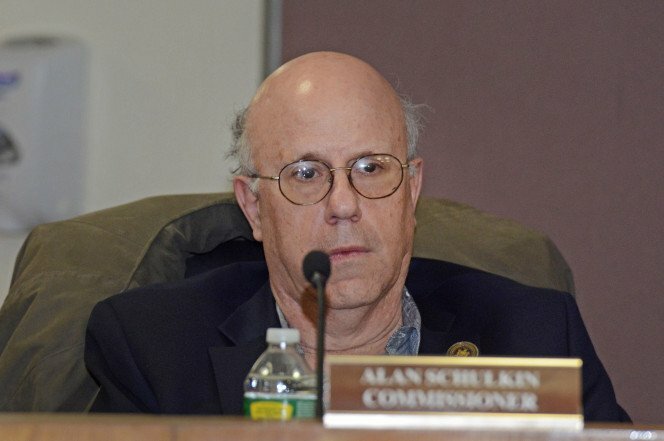 Schulkin later tried to excuse his statements by blaming it on the interviewer. “She was like a nuisance,” he claimed. “I was just trying to placate her.” By… confirming that voter fraud is real? The reality is that Schulkin messed up, big time. He just admitted that his party participates in voter fraud. This is why Democrats fight voter ID laws tooth and nail… because it would get in the way of their voter fraud schemes. If Democrats had their way, they would be able to hand out fake ID cards to everyone they meet and bring them to different polling stations so they can ensure that they get the results they want. If they can get people to vote more than once. There may not be a widespread conspiracy engineered by the national Democratic party. But there doesn’t need to be. All they need is corrupt local officials like Schulkin and the job will get done. It’s a big problem, but Democrats will just scream racism if anyone complains. That’s their go-to defense, right?